Snap Map: Innovative or Creepy? Snap launched a location sharing feature last week in an effort to get people to meet up face to face instead of watching each other’s lives via phone screen. To see the new feature, open Snap camera and pinch the screen. There you’ll see your friends who have opted in along with a heat map of any hotbed locations for snap activity. 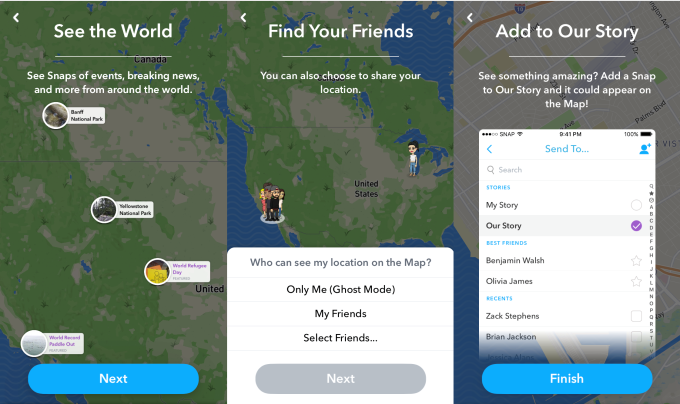 You can choose to show your location to no one (Ghost Mode), friends, or just select friends. This is loosely related to Instagram Stories’ recent feature, adding stories to locations. If you tap on the location in an Instagram post, you can see user-posted stories from the location in the last 24 hours. Snap needs to find innovative ways to keep users. Instagram’s Stories is less than a year old and is rapidly outpacing Snap with daily user numbers.